Trebuchet is seeking a Director, Origination who will prosper inside a fast-paced, environment with solid backend support. 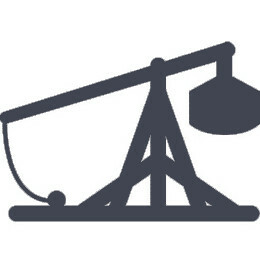 The successful candidate will be a associate of Trebuchet’s Debt Group. The candidate that will meet with success is one that has previously understood and have put into place a workable marketing strategy, to generate a high volume of transactions. Unlike other companies, we support you and your primary goal, that is; achieving a high number of quality transactions. We want you to be happy and focus on meeting your goals, not back end paperwork- leave the details to our backend debt group. The main focus is going to be on sourcing new business from new relationships with mortgage, real estate brokers, property owners, developers, and investors seeking innovative debt solutions which meet the clients needs and Trebuchet’s private equity debt investment guidelines. Sourcing, qualifying and constructing mortgage investment loans. Going over new loan requests with the Trebuchet Debt Team for real estate asset classes: office, retail, industrial, multi-residential, land and development projects. Coordinating the underwriting of loan Investments with Trebuchet Debt underwriting analysts including compiling market information, generated by the client to back up all suppositions of the investment. Overseeing the entire workflow of a deal from term sheet to closing in co-ordination together with the Trebuchet debt investment team. Utilizing the debt team to provide Credit Submissions for every transaction. Sustaining expertise in the American real estate mortgage lending market conditions. Assist with and contribute to the investment decision making method with the origination team. Develop and expand relationships with US lenders for loan syndication. Provide support to the Debt management team for on-going treatments for the loan portfolio. Represent the organization at trade events by taking part in forums and other events across Los Angeles Area. Ability to read architectural plans and complete takeoffs, ideally manipulate and knowledge of Revit software. The conditions herein are representative of those that must be met by an employee to successfully perform the essential functions of this job. Reasonable accommodations may be made to enable individuals with disabilities to perform the job functions. Physical Requirements: This position will spend long hours sitting and using office equipment and computers which can cause muscle strain. The position requires talking, expressing or exchanging ideas by means of the spoken and written word to impart information to clients or to the public, and to convey detailed spoken instructions to other workers accurately, loudly, or quickly.